Our goal is to offer budget-friendly rates to customers. Airport taxi Team is specialised in airport transfer and long distance. Airport Taxi offers low cost transfers from and at all major airports as Brussels Airport, Charleroi airport, Düsseldorf, Schiphol, Paris and other destinations. Our service is available in whole Belgium. We offer you low price transfers with high quality service. We also provide intercity transfers, door to door, at hotel or private residences. If you departure is from Leuven, Brussels, Ghent, Antwerpen, Brugge or elsewhere in Belgium than we are ready to provide you our service. We will bring you safely and with comfort at your destination. With airport taxi low price service we offer you private transfers directly from your pick-up location at your destination. Airport taxi has high quality service with clear prices. Our company offers transfers without additional costs. All prices of our airport taxi company are clear and we do not ask extra fees except parking fee: When the driver has to use the parking than we ask 5 euro extra for it at out customers and if we have to pick-up clients from different places we ask extra charge. Even at night transfers, the prices will be the same as during the day. The clients pay ther driver when arrive at distination. The prices for all transfers starts from 40 euro. The price for 1-3 person is 40 euro per vehicle and from 4-8 persons 45 euro with minibus. If you need a childseat please we would like to know the age of the child. After making ther booking you will receive automatically a confirmation by e-mail. In case you might have any questions you can always contact us. There is no additional cost when your flight is delayed. The driver will wait 45 minuts in the arrival hall of the airport. In case something happend like loosing luggage please contact us that we can take measures with the driver. 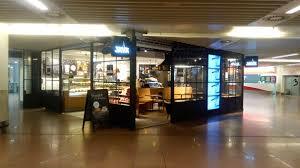 Our customers are picked up at the arrival hall for “Java Coffee Shop ‘, with a sign your name. 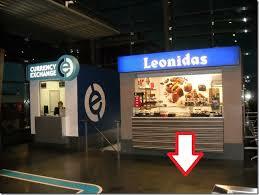 We picking our clients up in front of chocolate shop “Leonidas”. Airport Taxi bookingssystem is easy to use. Enter your departure and arrival location, choose the correct date and time of departure. When you choos one of our cars, you determine the amount of your transfer. No additional costs are charged except parking at airports and extra stops. The driver must park his / her car in the parking and we ask for 5 euros extra for our customers. By filling in and sending all necessary information, you will receive automatic confirmation by e-mail. The driver must put his / her car in the parking lot and we ask for 5 euros extra for our customers. When filling in and sending all necessary information, you will receive automatic confirmation by e-mail. Order your taxi on time. We offer you clear fixed prices. Our goal is to offer budget-friendly rates to customers. ►If you are at the destination, payment will be made in specie. ►►If you wish to pay by credit card, please let us know in advance with your order.